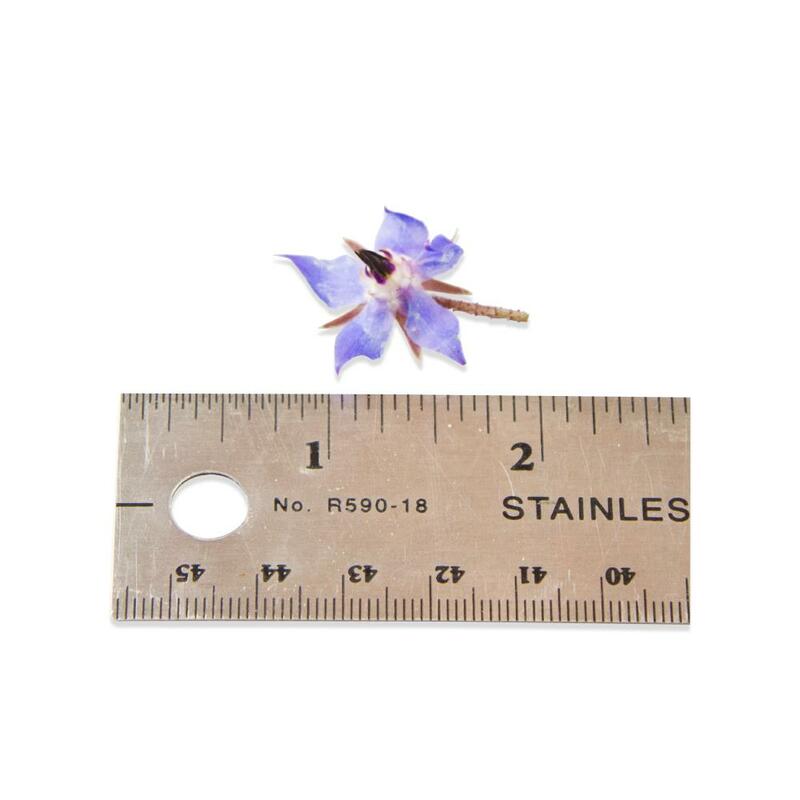 Borage blossoms are small blue blossoms with reddish stems & leaves and a black center. They have a very mild cucumber flavor that allows them to be used as an edible garnish on almost any dish. Borage flowers average about 1” in size. They will float in liquids, but not quite as well as wider, flatter varieties like edible pansies, because they sometimes float on their sides. 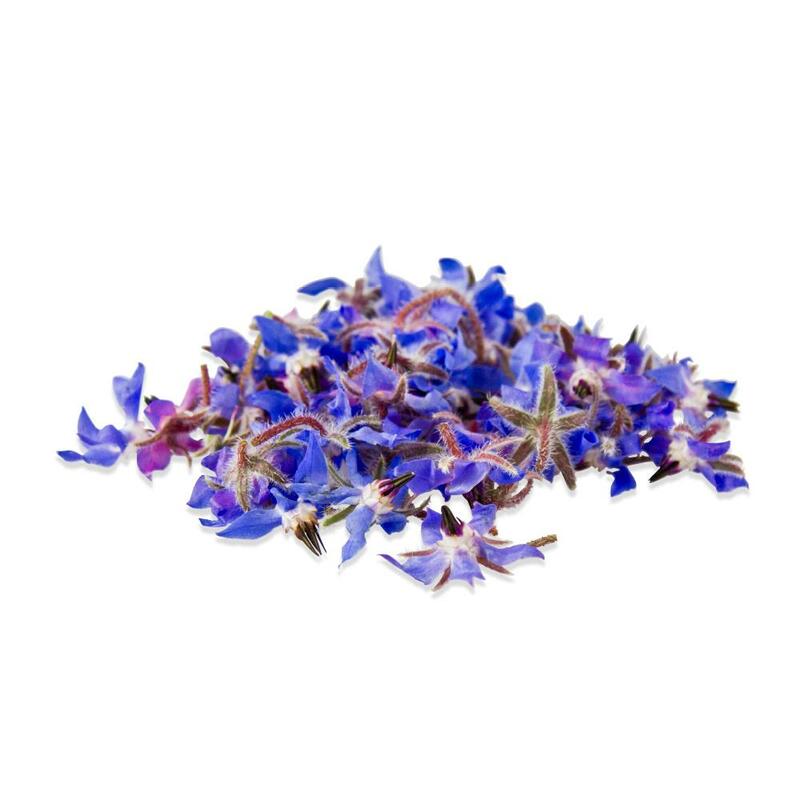 Borage blossoms are one of the most delicate edible flower varieties. To maintain their best quality & appearance, only add them to food as a garnish or ingredient right before serving. 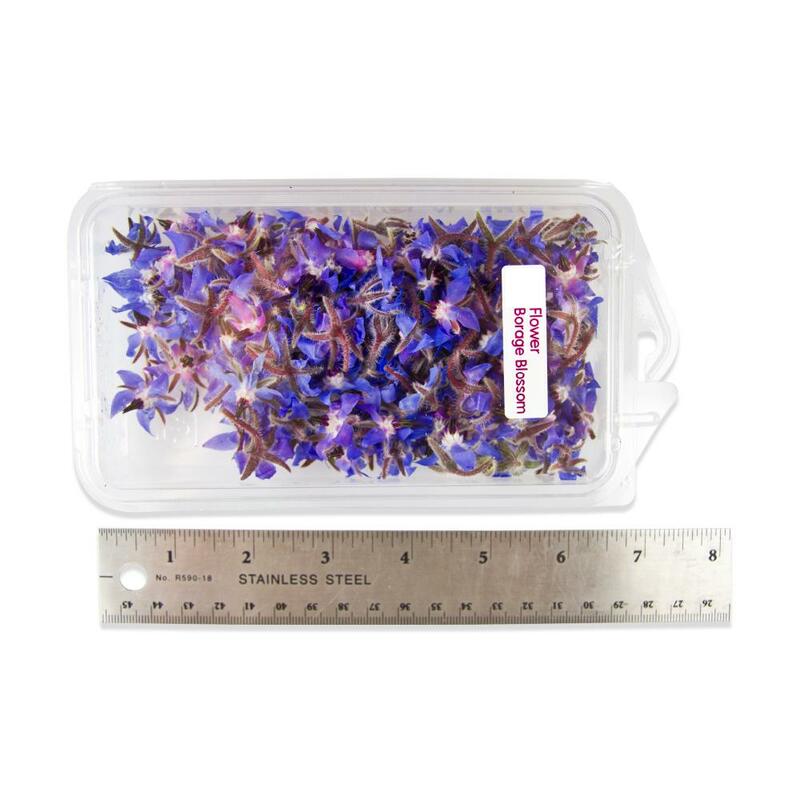 Store borage blossoms in their plastic clamshells in your refrigerator. Borage blossoms have a very mild flavor and will thus work as a garnish for pretty much any dish – sweet or savory – desserts, salads, entrees, etc. Because they will float, they’re a good choice for garnishing soups.